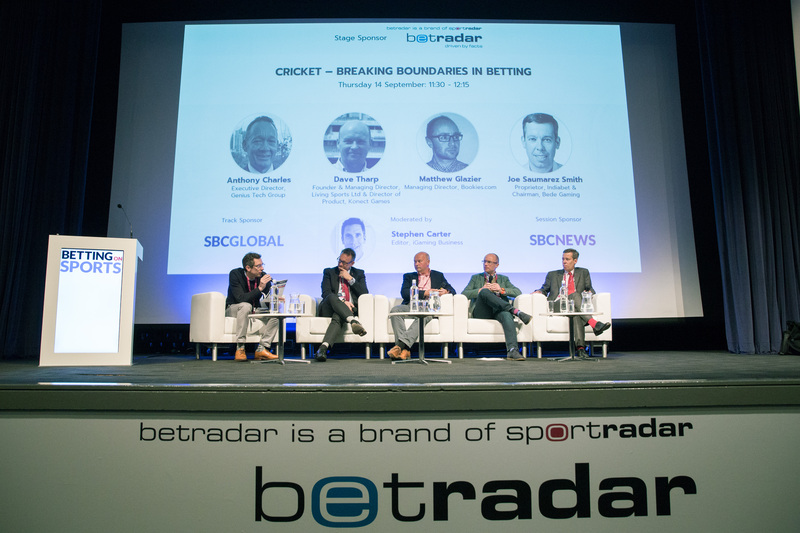 Joe Saumarez Smith, chairman of Bede Gaming, spoke at the Betting on Sports conference this week. He addressed a panel on Betting on Cricket, which was well attended by delegates from around the world. The conference, which was attended by more than 1,200 executives from across the sports betting industry, saw more than 40 different panels on all aspects of sports betting, including a particular focus on the fast-growing area of eSports. The panel was led by Stephen Carter, editor of iGaming Business, and also included Anthony Charles, executive director of Genius Tech Group, Dave Tharp, managing director of Living Sports and Matthew Glazier, managing director of Bookies.com. Bede was also a sponsor of the conference show, highlighting how the Bede platform can support any third party sports betting software supplier and can offer deep integrations with cross-channel bonusing, something that rival platforms cannot support. 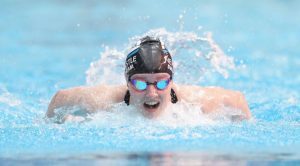 Bede Gaming, one of the fastest growing tech firms in the North East, has thrown its backing behind one of the region’s junior swimming stars. Emily Large is the European Junior Champion for 200m Butterfly, in which she also holds the British record for her age group, which she set at the European Junior Swimming Championships in Hungary last year. The hugely talented Ponteland teenager, who swims for Newcastle Swim Team and is coached by Ryan Livingston, is a rising star in the swimming world with two other British short course records to her name in the 200m Butterfly and 400m Individual Medley. She is the current British National champion for her age group in 50 / 100 / 200m Butterfly. At the end of 2016 she was named Pullbuoy’s Junior Swimmer of the Year and was shortlisted for the British Swimming’s Emerging Athlete of the Year. Bede Gaming were able to connect with the King’s Priory School student through Sport Newcastle, a sports charity who support North East athletes. Since this press article was released, Emily has been crowned the World Junior Champion for 200m Butterfly, breaking the championship record in the process, which had previously stood for 9 years. She also found out she received straight As and A*s in her GCSEs! Bede has strengthened its casino offering by striking a deal with live dealer provider Ezugi. Under the agreement, Ezugi’s full suite of live casino games including blackjack, roulette and baccarat, have all been integrated onto Bede’s content platform, PLAY. Through Ezugi’s products and services, Bede’s clients will be able to provide their players with the same excitement, trust, and sophistication found in the real casino gaming experience. Michael Brady, CEO of Bede Gaming, said: “The live casino market is one of the fastest-growing sectors in the industry and as such is highly important that we offer our partners a wide-selection of live dealer games to choose from. Sagi Ifrach, Commercial Director of Ezugi, added: “We’ve been admirers of Bede Gaming for some time now and it’s great to be working alongside such a high-performing gaming platform. Bede PLAY offers a completely flexible gaming solution, combining the top content in the industry with first class marketing tools and robust security measures, and it is quickly establishing itself as the first-choice option for innovative operators globally. Red Tiger Gaming announces today that its suite of market-leading slots games are now live on brands operated by Intellectual Property and Software (IPS). IPS, which is powered by Bede Gaming’s platform, operates casino and bingo brands in the UK, Ireland and Sweden, including Pink Casino, 21.co.uk, Health Bingo, Bingo.ie, Svenska Casino and Rosa Casino. The deal means players will now have access to top-performing titles such as Dragon’s Luck, Arcade Bomb and Lucky Wizard, with the supplier’s innovative jackpots to be added in the coming weeks. The integration includes Red Tiger’s ground-breaking Smart Spins promotional tools, which offer a uniquely flexible suite of bonusing and cross-sell functionality delivered via an in-game dialogue module. It follows hot on the heels of several new high-profile Red Tiger partnerships with GVC, PokerStars, iGaming Cloud, Betsson and the recently announced supply deal with Rank Group. Red Tiger’s Managing Director, Gavin Hamilton, said: “This is yet another great deal for Red Tiger Gaming, putting our award-winning slots games in front of new players in the UK, Ireland and Sweden. Red Tiger Gaming has rapidly become well-known in the industry for its quality games and innovative bonus tools that drive incremental revenue, and recently took home the trophy for Innovation in Slots Provision at this year’s EGR B2B Awards. Just over two years old, the company is now at full pace with its European roll out. CEO, Michael Brady, is quizzed by SBC News on forming one of the fastest growing tech companies in the UK and how out of the box thinking is fuelling the company’s rapid rise in the gaming industry. SBC: Hi Michael, Bede Gaming is one of the newer industry platform providers. How and why has your team gained noticeable and significant industry partnerships in a short space of time? Michael Brady: Primarily because we have taken a far more flexible and open approach to platform provision, particularly when compared to legacy providers. Bede was born out of our own frustrations with other providers not being flexible or fast enough to fit with companies’ digital objectives. We identified an opportunity to offer a platform in partnership with operators, rather than simply rolling out a one-size-fits-all solution to everyone. This means sharing APIs with operators and allowing them to personalise and differentiate their offering to players. We aren’t restricting clients to only follow our path, they can follow their own direction and Bede’s APIs mean integration is lightning fast. We integrated the Kambi Sportsbook in 10 weeks for Rank, for instance. Through a single integration, operators can get access to nearly 2000 games across multiple providers. The result is a platform that gives operators the control to react swiftly to the challenges of the industry, whether they be adapting to new legislation or entering emerging markets. SBC: How does the development and planning of your operations and services differ from industry legacy platform providers? MB: I would say there is a fundamental difference in the way we develop. We are far more collaborative than legacy providers, many of which have achieved scale to an extent where they have lost touch with what operators want. We heard many operators telling us that they’d love to leave their legacy provider, but there was no viable alternative. Bede proves there is another way; we plan our offering around the demands of our clients, so that means building strong relationships. We’ve done exactly that with the likes of Rank Group, and it has been mutually beneficial for both sides. Feedback on our platform allows us to improve immeasurably and because we build on a single code base, all operators benefit from all updates. This open approach results in a scalable model rather than the silos created by some legacy providers. SBC: As an industry tech stakeholder, Bede is unique in offering three integrated services (platform, white-label and games content), how do you maintain an effective balance between each provision? MB: Increasingly, operators are looking for ways to bring these different components together without sacrificing quality, and that is at the heart of what we do at Bede. Having a truly open platform, like ours, allows customers to choose the suppliers they want to work with, as well as knowing they have access to the best-in-class providers already integrated with Bede. The three different services we offer gives operators the flexibility to pick the option that is right for them. As integration is such a straightforward procedure, we are able to build relationships across the board with suppliers and content providers, and in many cases offer a greater depth of integration than an operator could achieve if they went the direct route. SBC: Your team has placed a significant emphasis on client security and data protection? Why is this a core dynamic for your firm’s development and strategy? MB: Security is a critical issue for operators today, and this will only increase when the General Data Protection Regulation (GDPR) becomes law in May 2018. The GDPR places a greater level of accountability on data processors on issues such as information security breaches. It means that if an operator is not completely confident in the security of its data, it is playing a potentially catastrophic game. This was the motivation behind Bede applying for and achieving ISO 27001 certification, which verifies our platform to the highest security standards in the industry. Only a handful of providers have the certification, so it places us much higher than our competitors in that it marks us out as taking the right measures to protect our partners. With Bede, they are in safe hands. SBC: Looking ahead what new services and provisions does Bede want to bring to market in the coming months, what should industry stakeholders keep an eye out for? MB: We are always developing our core platform and also expanding our content aggregation service, Bede PLAY, with additional titles from the best games developers around the world. Operators are looking for this combination of flexible platform and world-class content provision to compete in the fast-changing gaming landscape of today. Bede PLAY brings together the best land-based and digital content and provides operators with Bede’s powerful marketing tools, all from a single integration. Legacy platforms simply don’t offer the level of control and speed to market operators are after but we are showing there is another way. It will only be those who can adapt to the challenges of newly-regulating markets that will succeed. The Rank Group recently reported 13% digital revenue growth, with 35% uplift in its Grosvenor Casino brand digital performance, and credited Bede Gaming with enhancing its digital platform to generate these significant gains. Having switched to Bede in 2016 from OpenBet, Rank has not only seen strong growth in the digital field but has also achieved greater operational efficiency, due to Bede’s front line operator tools. Rank needed a solution to fit with its ambitious online plans, and one which provided the group with flexibility and efficiency to control their own digital objectives. After migrating to Bede’s gaming solution, the operator looked to introduce a sportsbook to its other successful offerings. Bede completed the integration of Kambi sportsbook in just 10 weeks. The speed of the integration, combined with the quality of Bede’s live data, enabled Rank to have a particularly successful Cheltenham Festival. Rank, who reported substantial benefits to their digital casino brand following the migration to Bede, continues to make use of Bede’s robust platform, and has already reported positive numbers for this year, sustaining its upward trajectory in the digital arena. Rank attributes much of its strong growth to Bede’s powerful back office software, which includes comprehensive campaign management, advanced bonusing and detailed player management. The hugely successful partnership between the two companies is seeing further collaboration in more innovative projects, with releases due throughout the year. “We are extremely pleased with how we’ve been able to work with Bede to deliver such a successful outcome. “Our company’s mission is to become the first-choice gaming platform in regulated markets and Rank’s digital growth is proof that we can achieve this goal. We take our client’s needs and requirements seriously and look to work in partnership to achieve these successes. The right platform can provide a strategic and competitive advantage for those operators brave enough to modernise. We are seeing a new breed of agile platform provider challenge gaming’s legacy suppliers and offer a range of solutions that hand power back to operators. In recent years, several young and agile operators, particularly on the mobile channel, have successfully grabbed market share from more established rivals by tearing up the rulebook and offering a product that reacts to their customers. Invariably, these products have sat on modern platforms rather than the bloated, industry-standard technology that tends to stunt innovation, personalisation and creativity. Today’s modern platforms offer all the upsides of more established technology, but with greater agility and choice, and those who have made the switch are already reaping the rewards. We are increasingly seeing operators demanding a platform that can offer a broad choice of content without having to compromise on which suppliers operators can integrate. This is of important to those operators offering an omni-channel proposition which requires matching major land-based content with its online equivalent. Traditionally, the choice facing operators was to either endure the lengthy process of direct integrations with different suppliers or compromise with a pre-packaged content aggregator that was missing many of the biggest names. These are no longer the only options. Not only are some operators now using multiple platforms to broaden their offer to consumers, but modern content platforms, such as BedePLAY, can offer a range of content from major suppliers which was not previously available in one place. Additionally, the right platform can also allow for integrations that can even go deeper than if an operator directly integrates with the content supplier. This might include additional personalisation and functionality that taps into the underlying infrastructure, and the ability to fine tune the player experience or enable more intelligent marketing. Operators no longer subscribe to the notion that a standardised turnkey offering will suffice; instead they demand a one stop shop that offers best-in-class products and content across the verticals, while still allowing for localisation and customisation. Security is another critical issue when it comes to customer data. Operators are now demanding peace of mind via the highest possible levels of security, and they understand that an information security breach would have a catastrophic impact. This is even more vital when the General Data Protection Regulation (GDPR) enters law in May 2018. The GDPR places a greater level of accountability on data processors on issues such as information security breaches, and operators are looking at their platform providers to ensure compliance. It was with this in mind that Bede recently completed ISO 27001 certification, which is the international standard for information security and is only awarded following a comprehensive audit. Bede is one of just a handful of suppliers to have gained the certification, but we believe it will soon become a central demand of all operators. Combining security, compliance, content and functionality within a single, flexible platform remains the primary challenge for all suppliers, and it is at the heart of everything we do. While our industry has talked at length about the importance of an agile platform, it is less common to see precise use-cases outlined for exactly how such a platform enables operators to move faster than their competitors and achieve a tangible edge that is felt on the bottom line. One such example is in emerging and newly-regulating markets, where operators must move quickly to personalise their offering in a manner which remains compliant with local legislation. Speed is of the essence in these newly-regulated markets; operators who want to make an impact need to be thinking of integrations in terms of weeks rather than months. Otherwise, marketing costs soon spiral as incumbents secure their position. A second example is adapting to new regulation in an existing market. We will likely see operators facing such a challenge in the UK in 2018, with a potential ban on daytime advertising and new taxes on free spins both on the cards. Such changes completely transform the way operators need to market their proposition to customers, with the bingo vertical set to be particularly hard hit. Operators are now demanding a platform provider they can work closely alongside with, to identify, develop and implement effective strategies to mitigate the full effects of the changes. This could include all manner of new and innovative approaches to bonusing and broader marketing, be those new promotional mechanics or even new gaming products. The only thing that is certain is that those who are stuck on immobile, legacy platforms will not be able to alter their offering quickly enough to capitalise on the opportunity. Operators are now clear on what it is they need to succeed in the modern gaming environment. The question most face is whether the best way to achieve this is by buying or building the technology themselves. The arguments against engaging a third-party supplier have weakened considerably in recent years. Provided platforms are no longer one-size-fits-all propositions, and the best are flexible enough to hand true control to the operator anyway. While switching from a legacy platform is undoubtedly a risky undertaking, we have seen some major players in our industry come unstuck while trying to build new components in-house that paper over the cracks of their existing technology. And as we are already seeing, those who think the safest option is to do nothing are quickly finding that they can no longer hold ground against more agile competitors. As seen in the June edition of INTERGAMINGi magazine. Michael Brady, CEO of Bede Gaming, said: “It was a pleasure to moderate a panel featuring three of the most experienced and innovative minds in the bingo and slots sector. “Bingo is at something of a crossroads, with changes in regulation, advertising and customer attitudes forcing us to adapt to new market realities. “Accordingly, it is critical we search for solutions to these challenges by driving innovation and finding new ways to better leverage brands and technology. “Bede has focused a great deal of resource and energy over the past few years in building a market-leading proposition that gives flexibility and choice to operators to give them the power to create and differentiate, but we are certainly not resting on our laurels.